All of the casino sites listed below offer a £5 minimum deposit, this is great news if you like to play casually before depositing further. 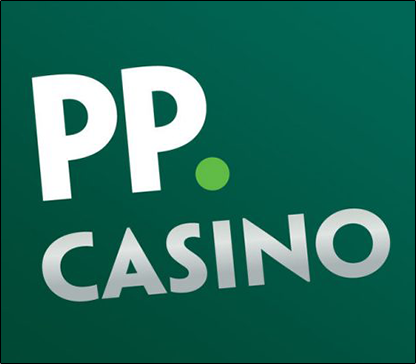 £5 casino sites are becoming incredibly rare but we have found some great sites that do accept the lower deposit. You will really struggle to find casino sites with a low minimum deposit. There are lots of reasons why this is the case including hefty card and payment processing fees for the casino operator, be aware that you may not be able to use all payment providers to make your £5 deposit but the casino should state which can be used. The other important thing to bear in mind is you may not be able to claim a welcome bonus if you make a deposit of less than £10, a bonus will extend your play so is worth thinking about. Why start with a £5 deposit? Playing for free is all well and good, but the vast majority of ‘free’ slot deals only give you play money to spend – and that’s exactly what it sounds like: It’s pretend cash that lets you spin the reels, but anything you win with it is completely fictional. You’re probably wondering how this differs from playing in practice mode, which equates to the same thing but won’t restrict your free play activities – and the answer is that it’s the same idea, only once the pretend money runs out then you can’t play anymore. The simple fact is that if you want to start a bona-fide, grown-up slot career then sooner or later you’re going to have to make a deposit. Many interested players start quaking at the thought of this having never transferred cash to a gaming site before, but if there’s one type of internet site you can safely pass your card details to it’s a slot or casino site: The operators of these sites simply have too much to lose by not using the very latest P-128 bit Secure Socket Layer Technology to protect your details, so you’ll find that virtually all of them (certainly the ones we use on this site) have this area covered off. You could, however, use a web wallet like Neteller or Moneybookers if you want extra piece of mind, but either way making a deposit is easy and safe these days. If you’re hesitant about biting the bullet, though, there’s no need to be: Many sites have minimum deposit requirements of £20 upwards, but there are plenty of sites (including the ones on this page) that only require you to transfer as little as £5. That means you can become a real, funded player and join the top tier of slot players – i.e., the ones who get to keep what they win – for less than the price of a couple of drinks.